GET TIX FOR YOUR GROUP! 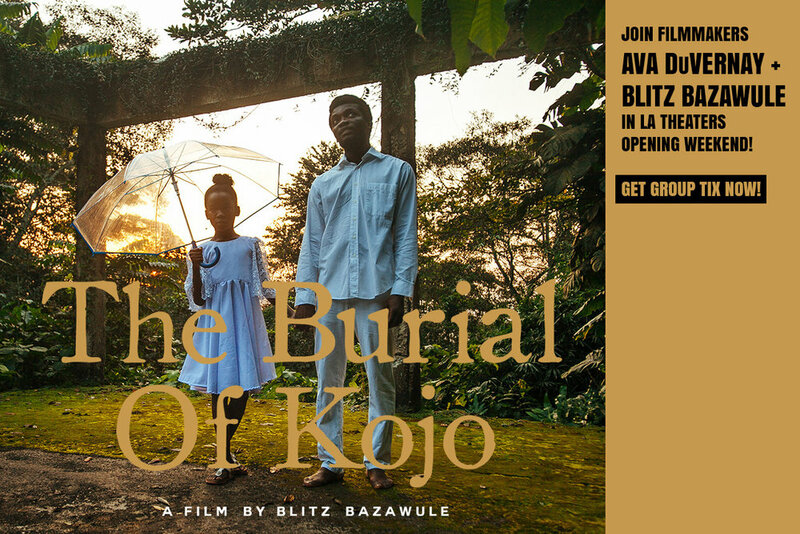 Written and directed by multi-disciplinary artist Samuel “Blitz” Bazawule, THE BURIAL OF KOJO is an ambitious visual stunner set in Ghana. With the dynamic gaze of magical realism and Afrofuturism, Bazawule chronicles the tale of two brothers through a gifted girl who travels beautiful lands that exist between life and death. In making THE BURIAL OF KOJO, Bazawule focused on building an infrastructure for Ghanaian filmmakers, training local artisans, and creating a self-sustaining environment for cinema in Ghana that will lead to what he calls a rebirth of a long-dormant film culture in the country. Bazawule raised the budget for the movie on his own, primarily financed by Ghanaians and other people of African descent. This marks the rare occasion in which an African film of this scale has been made without outside funding to international acclaim. 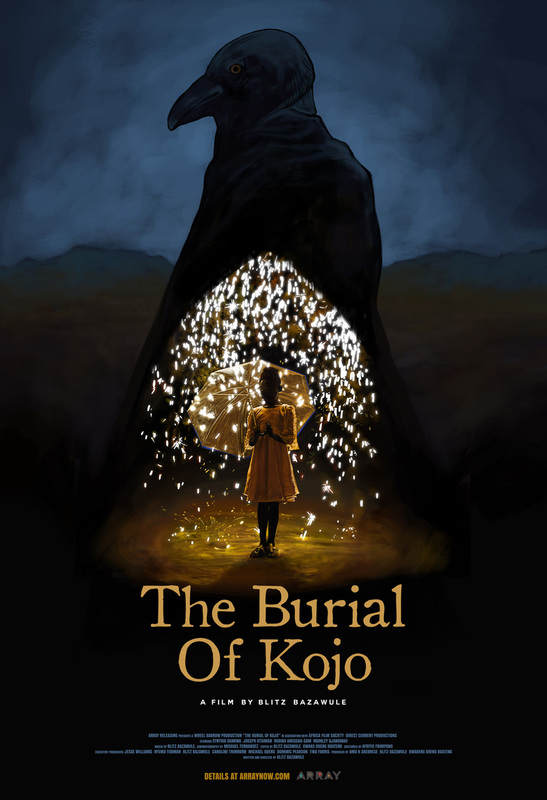 We invite our Los Angeles friends and supporters to join ARRAY at Laemmle Ahrya Fine Arts Theater for showings of THE BURIAL OF KOJO between March 29-April 4. ARRAY Founder + Filmmaker Ava DuVernay will moderate a conversation with Blitz Bazawule on Friday, March 29 at 7:30PM. Bazawule will participate in Q&A's after the 5:00 + 7:30PM screenings scheduled for Saturday, March 30. Full screening tour dates + details HERE ! We're grateful for your support and participation in important moments in Creative Arts, Music and Film like this one!